I have no idea if it's from a movie or a show so I apologize if it isn't from a film. Sorry. I tried a Google search for similar images and came up with no good answer. One thing is for sure that creature looks creepy. I forgot about this one for a while, sorry. 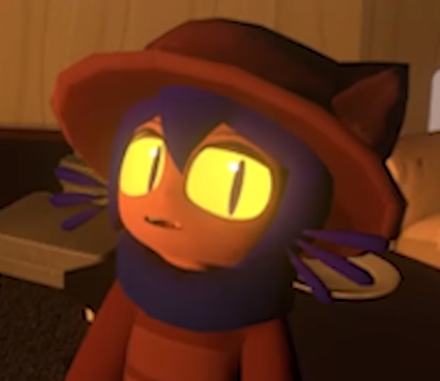 I just found out its from a 2D video game on Steam called "OneShot".